Master Junior’s 4th Degree Black Belt Promotion – What Do the Stripes Represent? 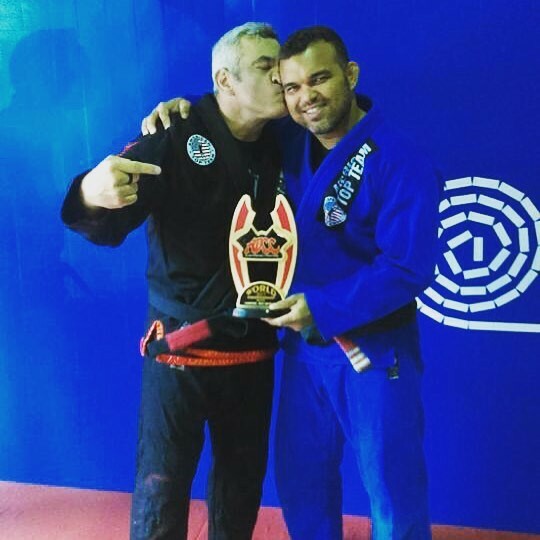 On November 14th at 6:30pm, American Top Team Fort Lauderdale is going to have Master Ricardo Liborio promoting Master Junior and giving him a 4th degree Black belt. Students’ presence are very important to make the promotion event a really nice climate and to honor Master Junior. 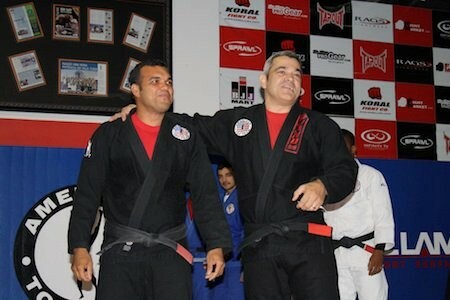 On the same day, Master Ricardo Liborio is going to give a seminar for all American top Team Members. Master Ricardo Liborio is a 6th degree Black belt under Carlson Grace. He started his journey in martial arts since he was 4 years old and received his balck belt from Carlson Gracie at the age of 26. He is a co-founder of Brazilian Top Team with other three Carlson Gracie students. Later, he formed a partnership with an American businessman and Brazilian jiu-jitsu practitioner called Dan Lambert, which originated American Top Team. 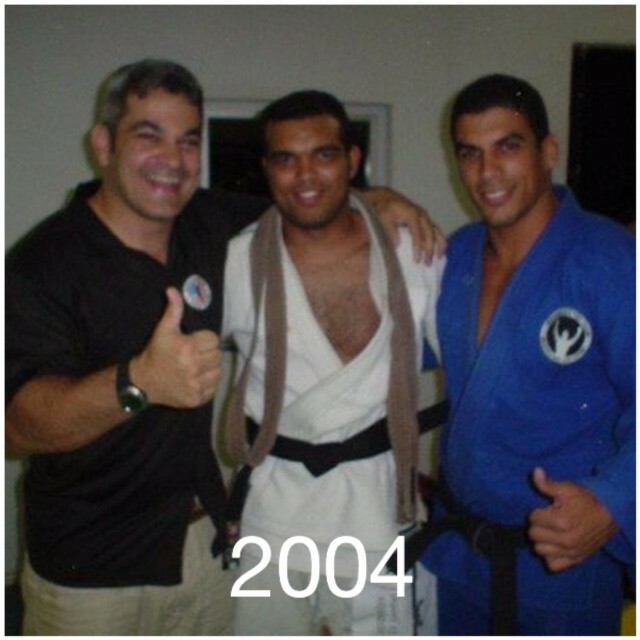 Professor Ricardo liborio earn Master Junior Fernandes in In 2004 Master Junior Fernandes earned his black belt from his Master Ricardo Liborio and his friend Teta Rios . At that time Master Liborio was already living in the USA and he had already founded American Top Team with Dan Lamber American Top Team has become the best MMA team in the world. 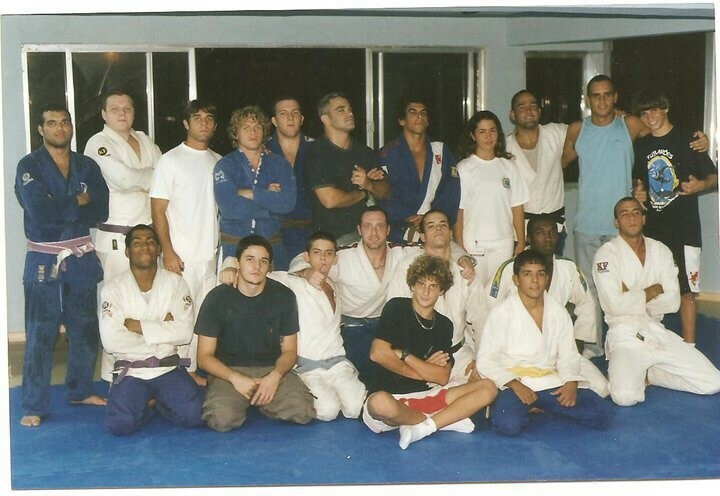 In 2007 Master Liborio invited master Junior to teach at American Top Team Coconut Creek, when ATT was becoming the number 1 MMA team in the whole world. Master Junior decided to move to the USA with his family to be part of that project. Taking advantage of the fact that American Top Team Fort Lauderdale is going to have a promotion belt degree, most of people have some issues and doubts about this process. So, we are going to explain how it works. Going further into the black belt degree system, the 1st degree just can be requested after a minimum of 3 years of the black belt graduation. The 2nd and 3rd grades can only be requested after a minimum of 3 years of black belt graduation. Here’s a look at Masters Junior and Ricardo over the years!